Wedding Catering, Wedding Cakes, and DJ Services. Serving Myrtle Beach, Murrells Inlet, Georgetown, Pawleys Island and the Grand Strand Region. We create a customized menu to meet your budget and taste profiles. We have the skills to turn your dreams into reality, and the personality to entertain your guests in a style that will exceed your expectations. Custom made for your perfect day. We also bake custom cakes for other special occassions, as well. Murray and Mike's catering, located in Myrtle Beach, SC, is the only premier destination caterer who’s expertise and culinary backgrounds allow our clients the opportunity to choose from a host of menu's serving quality food, providing professional staff, and experienced planners to host your next event. Our catering style and expertise allows us the ability to travel for any event. Some catered events have varied from a simple casual rehearsal dinner or family reunion held in the lovely train depot located in Myrtle Beach to a buffet style or fine dining wedding reception held on the beautiful grounds of Hidden Acres, Thompson Farms, Wildberry Farms, or Dw Mallard Preserve. Other catering services provided are breakfasts, brunches, professional lunches, cocktail parties, elegant dinner parties or themed parties. No matter the size we can accommodate by creating a menu that fits your budget and personality. 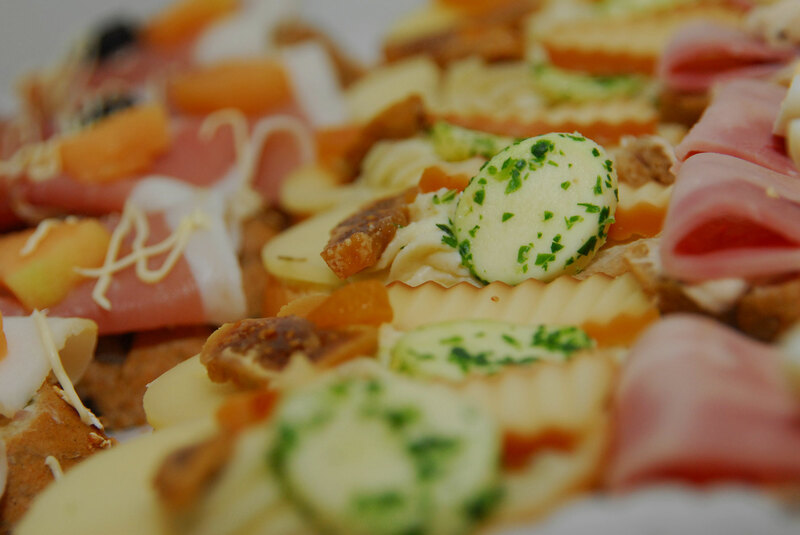 Murray and Mike’s catering provides our clients the opportunity to choose from an assortment of other services making us a “One Stop Shop” for all your needs. Whether it’s our quality DJ entertainment service, where we will be the Master of ceremonies for the day, or one of our decorated cakes ranging from one-four tiered, simple to extravagant, if you dream it, we can create it for you. Murray and Mike’s catering has proudly served clients located in Myrtle Beach, Florence, Charleston, Aynor, Conway, Georgetown, North Myrtle Beach, Pawley's Island, and Murrells Inlet for many years now and we will continue to provide excellent service, quality food and professionalism that our clients have come to expect. Our reputation allows us to work closely with many vendors such as Florists, Rental Companies, Wedding and Party Planners that makes will make your event seamless. 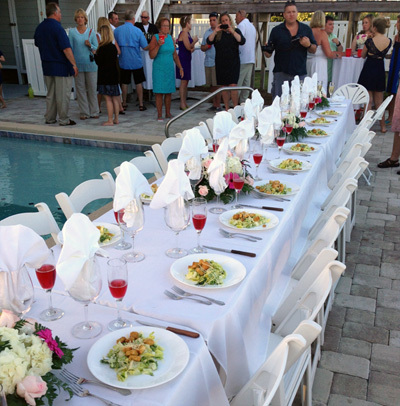 With decades of experience in the culinary field, we are Myrtle Beach's premier full service caterers. From small private gatherings to weddings and fine dining affairs, we can handle them all. Click below to learn more about us today! My husband and I used Murray & Mike's Catering at our wedding in April this past year. We hired them to do the photo booth. Hands down the coolest and pleasing people on earth! They have everything you could imagine for a photo booth...... Plus the RED CARPET!!! I received all the pictures that were taken at the end of the night. They have access to FB and Instagram as soon as the pictures are taken. The price of their services compared to other photo booth companies was unbelievable. March of last year they also catered my cousins wedding. Their food was also AWESOME!! Great business owners and are there to please you on your special day! Thanks again Murray & Mike for adding your special touches to our perfect day! Murray was very attentive to my requests. He gave me great feedback when discussing food ideas and provided excellent service. I did not have to worry about the catering aspect the day of my wedding at all. I felt confident that Murray would do a great job which he did. Murray & Mike did an absolutely awesome job on our wedding cake! Not only did it look exactly like the cake I had envisioned for our day, but it tasted delicious as well! I had given a detailed picture of what I'd like our tiered cake to look like and Murray exceeded my expectations! He was a great guy to work with and I'd recommend him to anyone looking for an incredible cake for a special event! When I first met Murray and Mike, I was not sure what to expect but I had heard that their food was great! Well I must say for our tasting, they hit it out of the ball park with their chicken and their she crab soup. They were very agreeable with the changes that needed to be done and with the specialty dishes that we requested. On the day of the wedding the food was still very good, however, they had made a couple of changes that we were not aware off/had not discussed but turned out well. They worked really well with us and delivered excellent food. I highly recommend them and their service. Murray & Mikes Catering was amazing! We got married at the Atalaya Castel in Murrell's Inlet. They did our food, cake, bar-tending and Murray was our dj as well! The food was amazing and Murray did an excellent job on dj-ing. We would highly recommend them to anyone. I found Murray and Mike's Catering at a bridal expo and they had samples of their foods at their booth - after one taste and talking to them I knew I wanted to use them. When my husband and I set up our tastings with them it reaffirmed why I had chosen them. The menu went with was southern comfort food and they executed it effortlessly the day of our wedding. Everyone was raving about the bbq pork and moist chicken, cooked to perfection! HIGHLY recommend them!